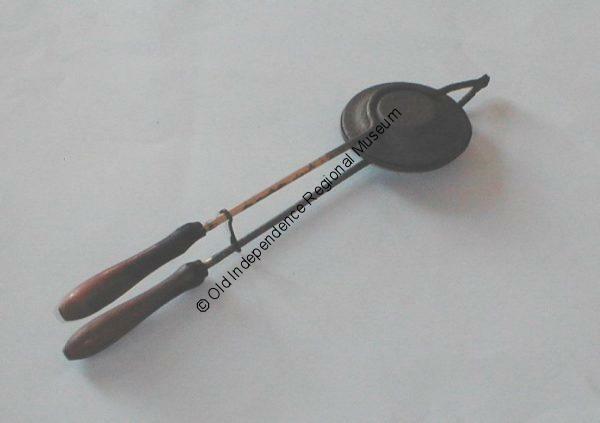 This item is known as a “cowboy griddle” and was used to make pancakes over an open fire. It opens to allow the batter to be poured in and fastens closed with a hook. The wooden handles are scorched and bear testimony to its use. This object is part of the Wilson Collection at Old Independence Regional Museum.